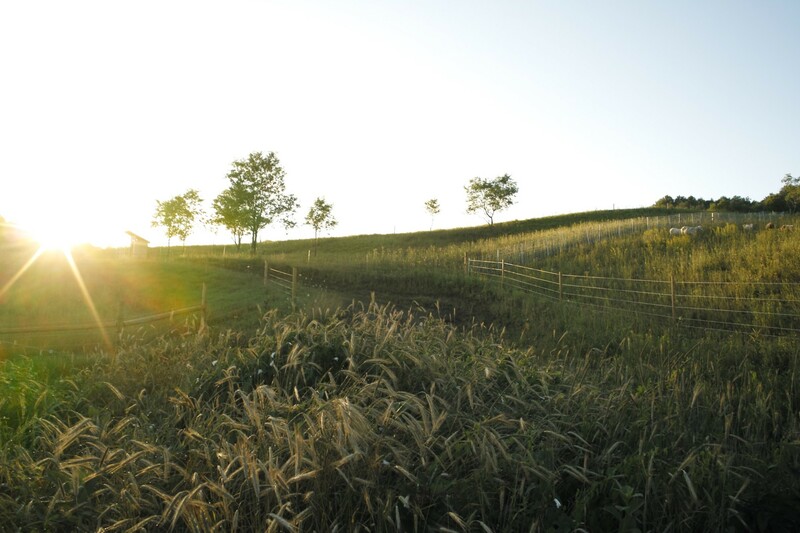 We often emphasize the benefits of organically raised produce and livestock. It’s our true belief that farm fresh vegetables and meat are superior both in flavor and for our health. We recently took a step back, however, to consider the entire cooking process. More than just the basic meat or vegetable goes into a well-rounded recipe. Beyond salt and pepper, we love to elevate our meals with herbs and seasoning. This emphasizes the fact that we should perhaps be paying more attention to the care and effort put into the cultivation of herbs and flora. After all, what better accompanies a thoughtfully chosen protein or vegetable than local, organic herbs? We are lucky enough to have a wealth of knowledge available via a local producer, Free Verse Farm! Owners Misha and Taylor originally met in college. Taylor studied English, while Misha learned the ins and outs of environmental studies. A precursor is certainly not lost on the couple as they reminisce about their college days. Misha supplied the campus cafe (where Taylor worked at the time) with dried tea herbs he grew on his on-campus organic garden. Misha notes, “For a long time, I had been interested in local organic food. I liked to raise awareness. I sold produce to dining halls, but also found that fundraising and informing were best done by selling these dry herbs in the cafe where students were studying.” Lemon verbena and peppermint were top sellers with the students. Their aromas were undoubtedly attention-grabbing! Still, the local food movement at the time focused a lot on food, as opposed to herbs that are so easily grown at home or on a resident farm. Taylor states, “A lot of times, teas are imported even though we are capable of growing a lot of chamomile, for instance. We grow a lot in one season, and it becomes stable once dried.” Why wouldn’t we be focusing on the local herb and tea industry in addition to food, especially if it is so easily grown locally? 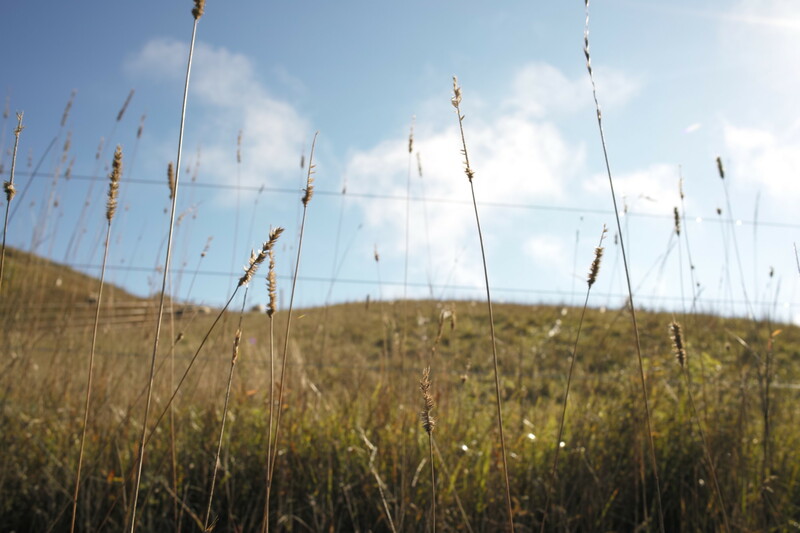 Following college, Misha and Taylor found themselves working on an organic farm in California. As Taylor studied to earn her masters in poetry and creative writing, Misha dove into herbalism. 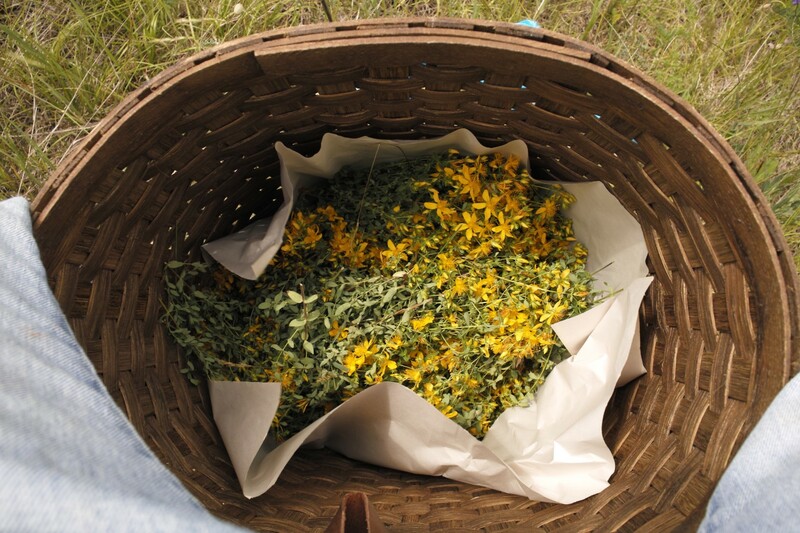 He learned how to use and prepare herbs, as well as how to establish an organic farming practice. 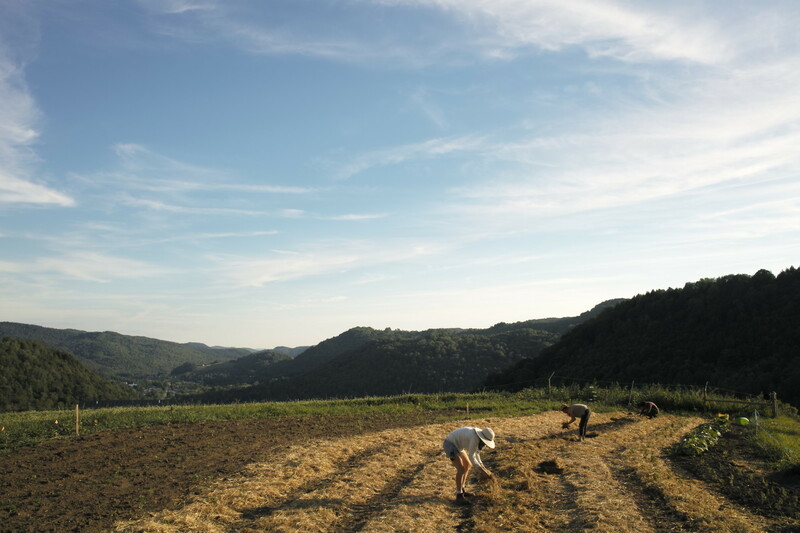 The couple began farming on land near Misha’s hometown of Norwich VT in 2012. Taylor and Misha’s relocation was a fortuitous one. 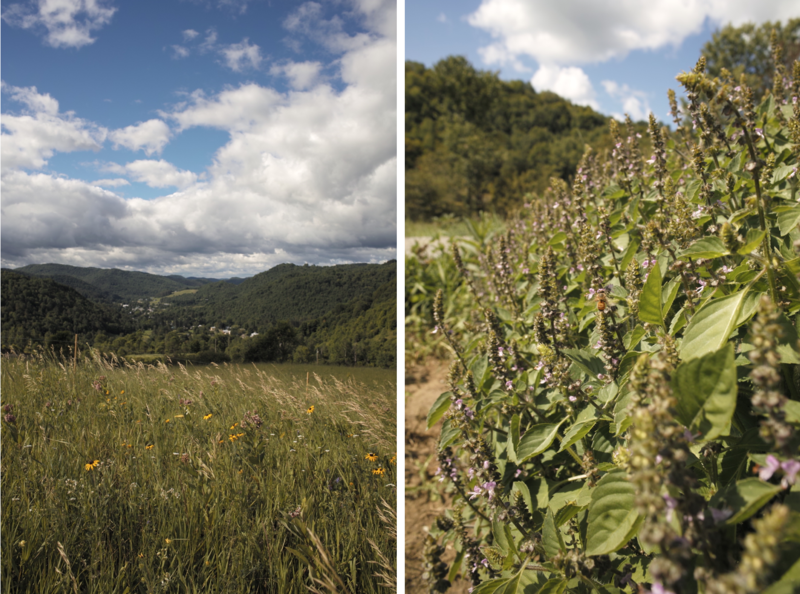 “Many people have their own gardens here in Vermont,” Taylor says. “They’re more familiar with herbs and flowers than your average city dweller. And people are also good at preserving things! Long winters justify drying your own herbs for tea and culinary use.” This agricultural familiarity within the community lends to a more open-minded mentality toward holistic healing. As such, Taylor and Misha find themselves often chatting and educating amongst their customers at local farmers’ markets. “People are open-minded to the idea that plants can offer more than just flavor – healing and uplifting qualities. It’s a welcoming community,” mentions Taylor. Keep your eyes out for Free Verse Farm at the Norwich Farmer’s Market and Woodstock’s Market on the Green this summer! Free Verse has also been selling their blends to an increasing number of stores in-state and throughout New England! 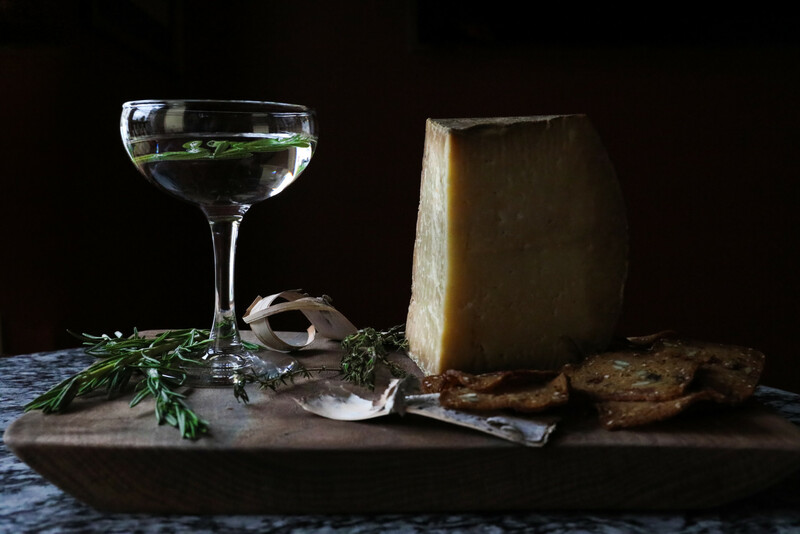 Herbs are the main inspiration for this duo. 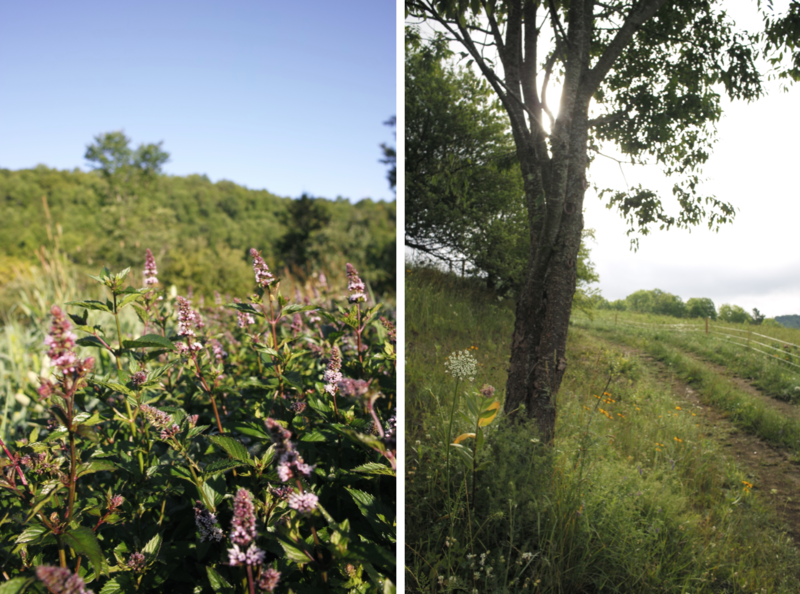 Taylor and Misha are motivated by working with the land itself. 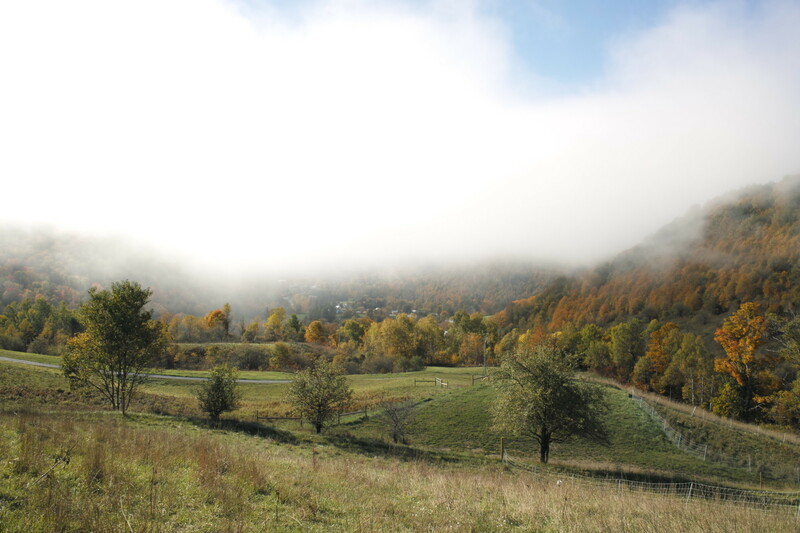 “We do not see the land as a place to impose our will of straight row crops,” says Misha. 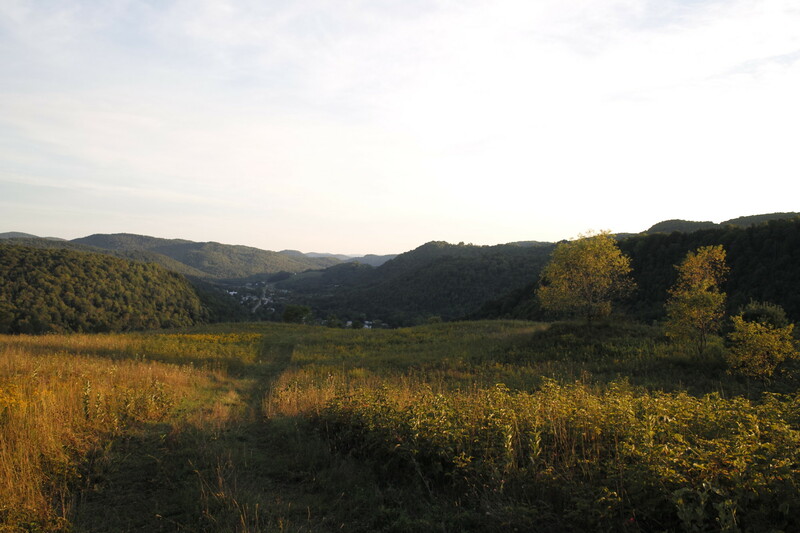 “The plan has always been to find ways to connect more deeply with the property.” Free Verse Farm works with their 38 acres of dry slopes, wet low pockets, open fields, forest, and little meadows to cultivate herbs and flora in areas they naturally flourish. Misha notes, “Herbs are very particular. Elderberry, for instance, likes moist soil. Thyme and oregano thrive in dry soil.” Little habitats throughout their property allow for pockets of herbs here and there. 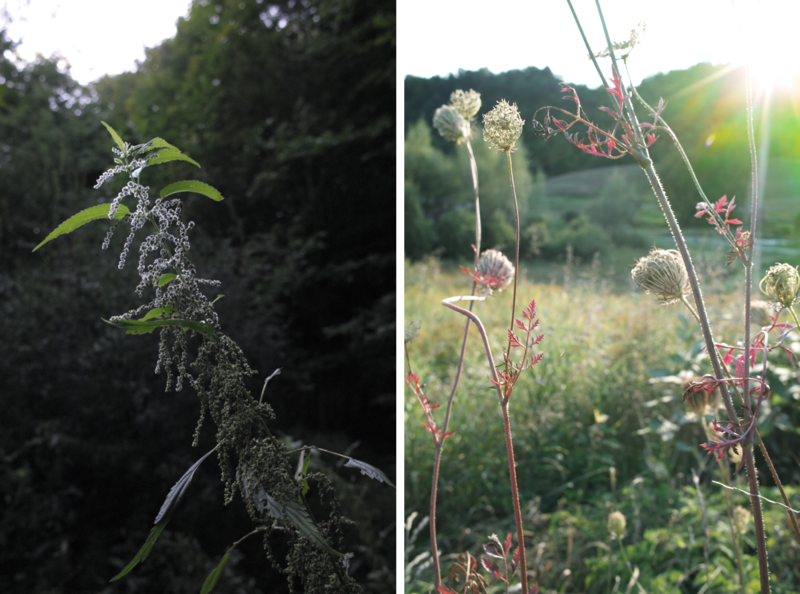 The plants that grow wild are the most surprising and interesting to witness throughout the seasons. Taylor is especially motivated by the creative energy that comes from working with Misha in every aspect of the business. “We bounce ideas off each other and collaborate on every level.” They find euphoria in seeing the herbs at full bloom, drying them, finding how well color and smell are maintained, as well as blending and coming up with names or recipes. The entire process keeps creativity and collaboration varied. In fact, Free Verse Farm loves to collaborate! Taylor and Misha have worked with a distillery, brewery, and restaurants in the past. Taylor and Misha always have their ear to the ground for similar potential projects. 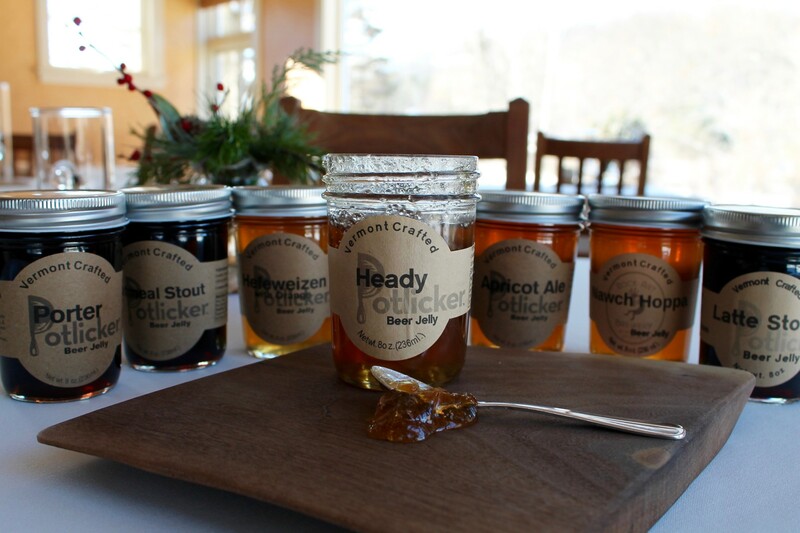 Moreover, working with partners like breweries has helped people engage more with herbs. The beer culture today celebrates flavor experimentation. 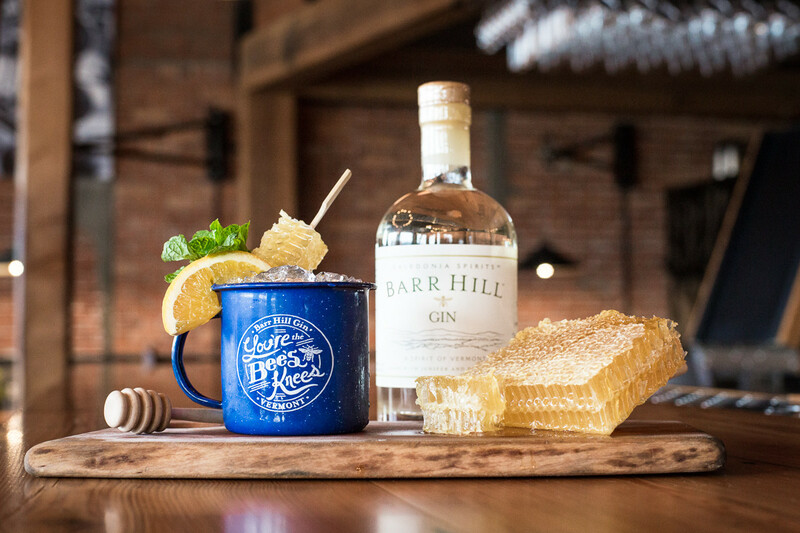 Consumers are more open to trying beer with chamomile, for instance. The recent popularity of double IPAs has also opened the door for herbs, allowing Free Verse to fully embrace bitter taste and reference the verbiage of bitters or alcohol. 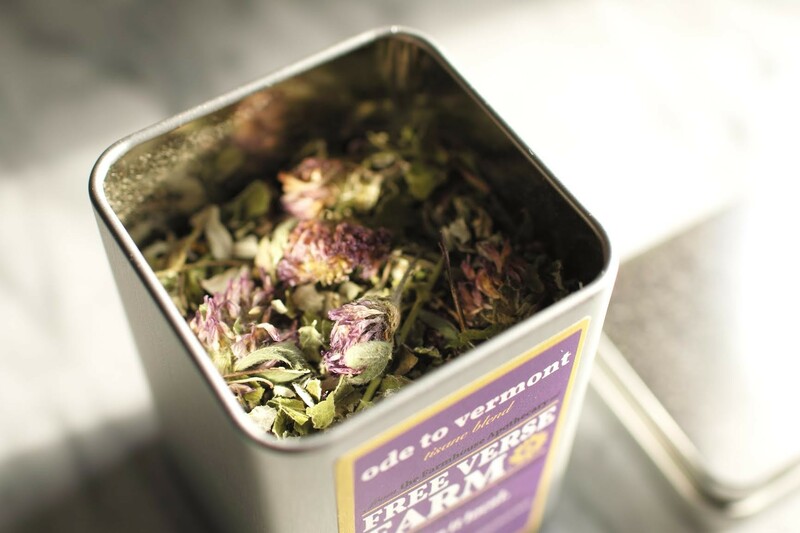 All in all, Free Verse Farm is producing a very Vermont product focused on remedies, teas, and culinary blends from herbs we can grow locally. Taylor and Misha love involving the community (local, Vermont, New England!) with what they’re doing on the farm. As such, Free Verse Farm continually adds farm tours and workshops to their events calendar. Taylor and Misha also make the farm available to host your own event! 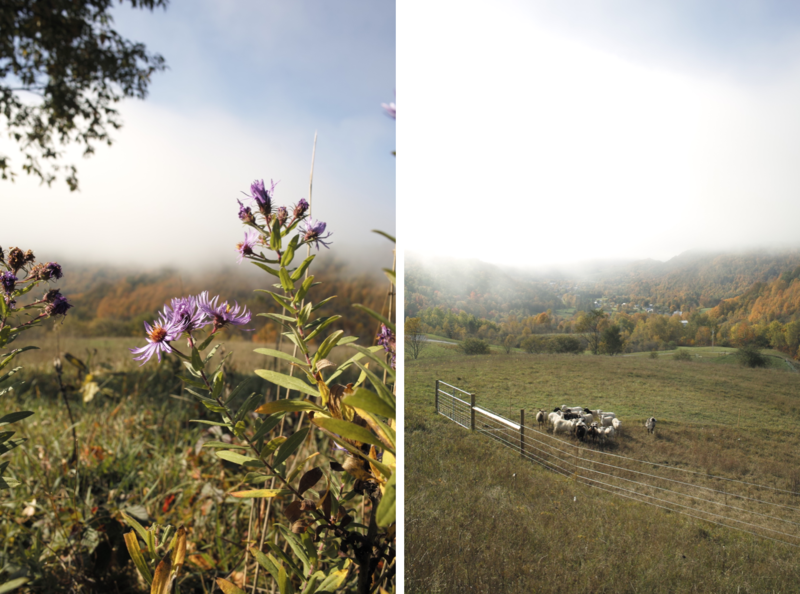 A Shakespeare reading and yoga retreat are just two examples of recent events held on the farm. Feel free to contact them with any inquiries! A taste and wellness trend are causing people to engage more with herbs in recent years, and we fully embrace this movement! Why not take thought into each and every aspect of your dish? 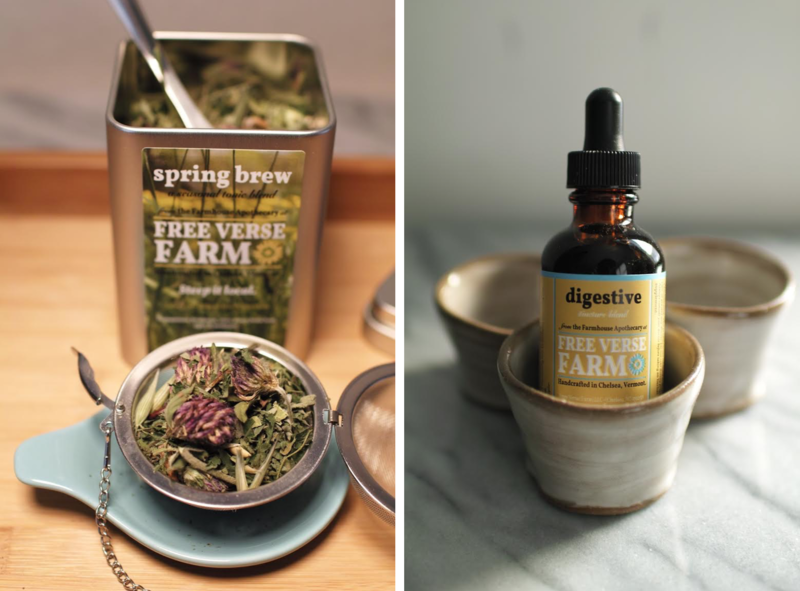 Free Verse Farm provides us with a large dose of inspiration in both their honest methods and innovative blends. Check out their online shop and discover how organic herbs can change your life for the better!